Situated in Kuta, Yan's House Hotel has a number of facilities including an outdoor pool, a restaurant and a bar. This was the best hotel I stayed in Bali! Everything was really great!! !Location is good! Breakfast is nice! Staff is awesome! They even open doors for you and bring free chocolate to your room! Room is clean and looks modern! Shower is great! And the price for it is just really cheap!!!! Will recommend this hotel for everyone!!! Located in Canggu in the Bali Region, 5-minute drive from Echo Beach, THE HAVEN SUITES Bali Berawa boasts suites with wooden furniture and Balinese touches. This place was even better than the photos suggested. The Anvaya Beach Resorts Bali is a beachfront accommodation situated in the Kartika Plaza district in Kuta, 500 metres from Waterbom Bali. They gave us late check out and that was really awesome! Offering a rooftop pool and a spa centre, Artotel Sanur - Bali is situated is Sanur, a 2-minute walk to Sanur Beach.Featuring urban décor, guests can find an array of shopping and dining options... Very nice and modern hotel, very tasty food, fast WIFI, only breakfast could be a bit better, as we stayed in this hotel for about 2 weeks and each day breakfast was the same. Otherwise all was just great! Boasting an à la carte restaurant, Amnaya Resort Kuta provides comfortable accommodations with free in-room WiFi access in Kuta. Everything!!!! Amazing value for money!!! The staff was always smiling and ready to help!!! The room was full of surprises to make our stay pleasant!!! The breakfast was fantastic. Try banana pancakes!! Extraordinary!!! Dinner was fantastic!! Recommend it 10000%. Located just a 5-minute walk from Seminyak Beach and the famed Potato Head Beach Club, Dash Hotel Seminyak presents an accommodation where guests can enjoy their stay. I love the breakfast and the atmosphere of the hotel. The ambiance was perfect and fascinating! PinkCoco Bali is just 200 metres from Padang Padang Beach, which features surfing spots. A 10-minute drive from Uluwatu Temple, the resort has an Italian restaurant and an outdoor pool. Staff lovely, room was nice. They make your bed when you leave and then again at night its very cute. Narayana Homestay features free WiFi and views of pool in Amed. This 3-star hotel offers room service and luggage storage space. It was like staying at a friends house, comfortable and relaxing. Putu the owner was so hospitable. Boasting a pool and a fitness centre, Eastin Ashta Resort Canggu is a modern accommodation situated only a 6-minute walk from Echo Beach. The staff were so freiwndmy, I LOVED my room and decor. It was so central! Located near to Ubud City Centre, Element by Westin Bali Ubud offers an accommodation with a range of healthy food and wellness activities. The hotel is new and very clean. The staff was friendly and very helpful . Set in the Pecatu district of Uluwatu, Radisson Blu Bali Uluwatu provides a fitness centre and a garden. Featuring free shuttle service, this property also provides guests with an outdoor pool. The hotel is amazing! Had a wonderful view from my room. The staff is extremely nice and helpful! Located in Sanur with Le Mayeur Museum nearby, Arena Living offers accommodation with free WiFi as well as on-site restaurant and pub. For us, it was the perfect location as we were meeting up with our friend from Bali. Tapa Tepi Kali provides free WiFi and rooms with air conditioning in Canggu. 1.8 km from Echo Beach and 6 km from Vue Beach Club, the property features an outdoor swimming pool and a garden. Everything was just perfect! Best hotel and stuff we ever visited. 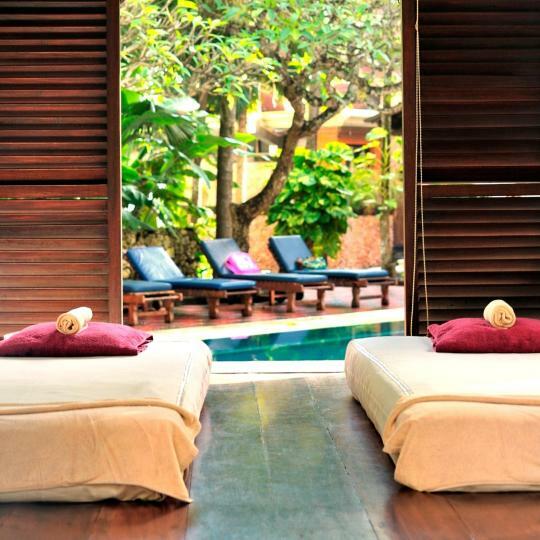 Located in the quiet part of West Canggu, Udara Bali Yoga Detox & Spa offers a healing resort overlooking the sea. It features a number of amenities including an outdoor swimming pool. Very friendly and well trained staff. The food is just delicious and healthy. Featuring an outdoor swimming pool, The Alantara Sanur is set in Sanur, 6 km from Serangan Turtle Island. Offering a restaurant, the property also has a fitness centre and a garden. Everything about this property is amazing an I am a fussy customer! Set in Ubud, within 3.8 km of Ubud Market and 3.8 km of Ubud Palace, Korurua Villa features accommodation with free WiFi. The staff are SUPER FRIENDLY. The food is great and the pool and views are just incredible! Swahita Ubud features an outdoor swimming pool, garden and terrace in Ubud. 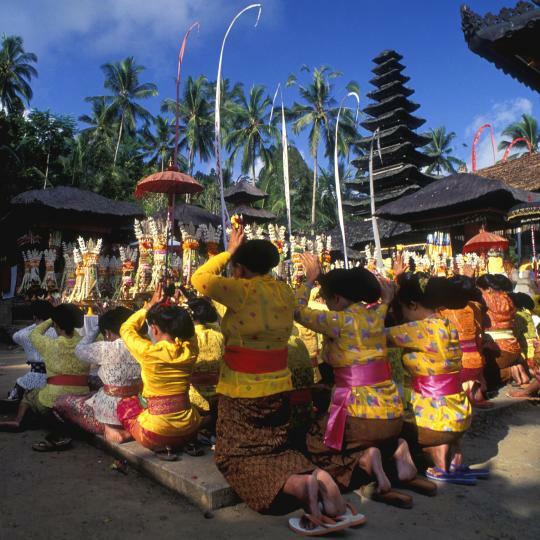 Popular points of interest nearby include Ubud Market, Ubud Palace and Saraswati Temple. Rooms are fitted with a balcony. Great accommodation. We had windows facing the jungle - amazing view in the morning. Situated in Ubud, 1.3 km from Ubud Market, Taman Amartha Hotel has a number of amenities including a seasonal outdoor swimming pool, a garden, a terrace and free WiFi. really friendly and warm staff. nice infinity pool. beautiful garden. very clean rooms. 4 km from Krisna Funtastic Land, Lovina Life is located in Lovina and provides air-conditioned rooms with free WiFi. Brilliant stop in Lovina, very clean great staff excellent food in the restaurant. Featuring free WiFi, a sun terrace with a swimming pool and a garden, Mango 5 Hotel is set in Amed. All rooms boast a flat-screen TV with satellite channels and a private bathroom. Mango 5 was one of the most pleasant stays in Bali. Situated in Kuta, 300 metres from the beach, Sulis Beach Hotel & Spa offers accommodation with a rooftop pool, a restaurant and a bar. It was such a pleasant experience to stay in this hotel. 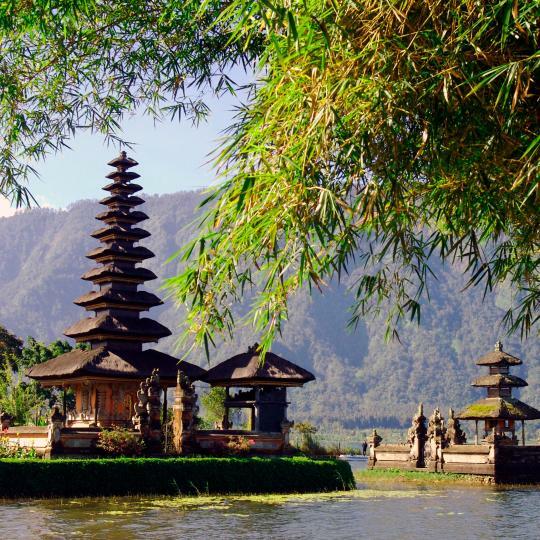 The dream destination of Bali is where volcanic landscape meets lush rice terraces and pristine beaches. Not to mention the fantastic surfing, cheap shopping and pervading spirituality that have made this Indonesian island a long-time favourite for backpackers. 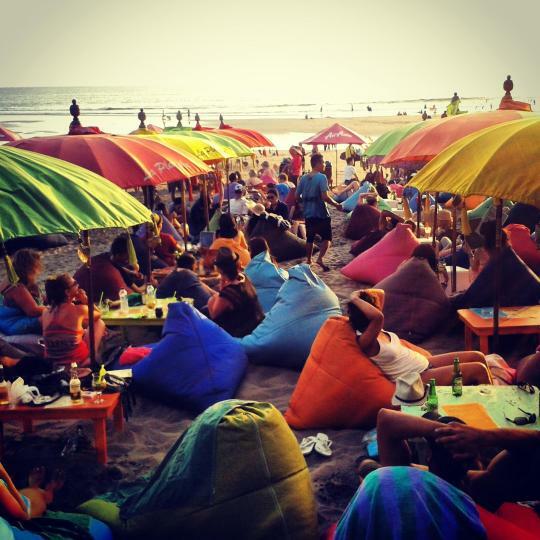 The island’s capital is Denpasar in the south, but its surf and party capital is nearby Kuta. Swaying palm trees line the beach here and many more cover the grounds of the Bali hotels on the beach in more exclusive Seminyak to the north. On the island’s north coast, Pemuteran beach offers lovely views of the sloping mountains heading towards the Bali Sea. Many beaches on this coast are black sand, including sweeping Lovina beach from where dolphins can often be seen. Tulamben in the east is one of the better diving resorts in Bali, while Sanur is a popular option for families. Ubud is the island’s cultural capital and houses a monkey sanctuary in its jungle-like landscape. An ancient Hindu temple is found here, but the best-known temple is Tanah Lot, surrounded by water. There are also hundreds of fantastic spas in Bali, as well as meditation and yoga classes that you can join. Whether you choose to stay inland or by the beautiful coastline, Booking.com has a great range of villas, guest houses and hotels in Bali. The Balinese people are such genuine & sincere people & willing to do anything for you . Love the markets & the beaches. Too many motorbikes, but we all accept that, as that's the means of cheap transport for all Balanese. 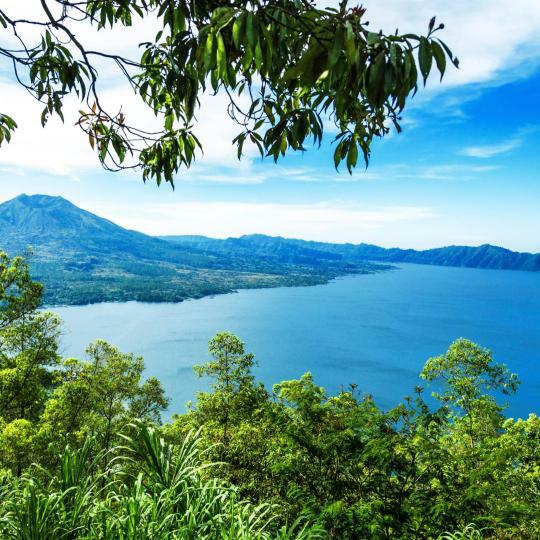 Great place to escape if you had enough of the touristy areas of Bali. Perfect location to live the exotic island life. Great place to do all sorts of water sports (surf, dive , snorkel etc). We walked mostly but taxis are easy to get and cheap. We were glad we chose this location as there was a verity of great restaurants , bars and shops.. We also had a driver from Bali Safe Tour we used to take us on day trips and airport pickup. Lembongan is a small island reached by boat from Bali. Lembongan is a small island reached by boat from Bali. You can hire a bike for the day or get one from your hotel (cheaper option ususally). Get a local map and drive around, you can see everything in just a few hours. Go over the Yellow Bridge to Nusa Ceningan and have a look there too. Lovely places to visit and very quiet. Many places close around 10pm so start your happy hour early. Ubud is amazing! I had low expectations of Bali as I thought it was just an Instagramers dream (not about that life) I want real authentic culture and Unud gave me that. So much that I want to live here one day! It has great food (amazing!!!) wonderful people, so much to see and do. We did mount batur trek (wasn't amazing as it was full on raining) but an achievement! We did a half day tour of the rice fields (wasn't impresssed) elephant cave (interesting as it's so so old, but 30 mins max needed) and finally Tirta Empul, holy spring temple, my favourite thing we did. So authentic, beautiful and whilst a tourist attraction it still kept its full cultural authenticity. I was visiting my Balinese friends who lived in Sanur. I was visiting my Balinese friends who lived in Sanur. They had a tragic accident on 'holiday'in Jakarta and had been transferred back to Bali Hospital. I had been to the wedding of my Australian neice to a Balinese youin August 2016 and loved Sanur then. It is more accessible than Kuta. Not as busy and more amenable to families. A great city on Bali, the traffic is not as heavy as in Kuta or Seminyak if you are on scooter. A lot of great places to visit near by, lot of pool bars in the vicinity for families and solo/partner riders. Definetly try bebek bingul! Short trip tu Ulun Danu and the volcano. A great place to take a rest for a fee days if you are going to the north of the Island. An annual festival at the lakeside pura Ulan Danu was beautiful, with a spectacular procession into the prayer area from the entrance. (date:25th June). The whole area was decorated with colourfull artificial or real flowers and Balinese decorations. Clean and quiet rooms. The food in the adjacent warung is fantastic and personally cooked by the landlady. The landlord is a very nice guy. He gave us some good information and also showed and drove us around. The homestay is one of the few where you actually feel like visiting the family not just a hotel saving on taxes. It is not located in Negara (~20min drive, 40k by Grab). This, however, allows you to actually experience the real and beautiful Bali countryside. The landlord is from New Zealand and his wife is Indonesian. The view from the cliff was gorgeous. The whole hotel is fantastic. It is typical Indonesian but with a western comfort. The best place we stayed in Bali. The hotel has a private beach which has no facilities also because during high tide it almost disappears. The difference between high and low tide is fascinating. With high tide you can easily swim, while with low tide you can see natural pools full of fish and crabs. The sunset is terrific. We stayed only one night but I think it is worth staying at least two. Deluxe room worth the extra money. Great breakfast!! We had the pool to ourself which was so good 5-7 min walk to beach. Staff so friendly and helpful we organised a private taxi to Ubud via the hotel and the driver was so information and amazing definitely recommend paying the extra instead of public transport. He answered so many of our questions about Indonesia/Bali and took us to an amazing view point of two lakes and then to a lewak coffee and tea tasting place which was great!!!! This is a beautiful traditional style Balinese hotel with luscious tropical gardens, Indonesian furniture in the lobby, yet international level of comfort in the rooms. I enjoyed having a TV, small fridge, kettle, wonderful bathtub and AC. The restaurant is so attractive, with comfortable stylish chairs and view of the pool. Excellent deep pool. Outstanding breakfast with homemade jams and incredible Danish flakey pastries made by the chef. Such a sweet welcoming staff and owner. It is relatively new hotel in that region with new comfortable apartments and facilities. It was a huge and super comfort bed and cool bath in the apartment. 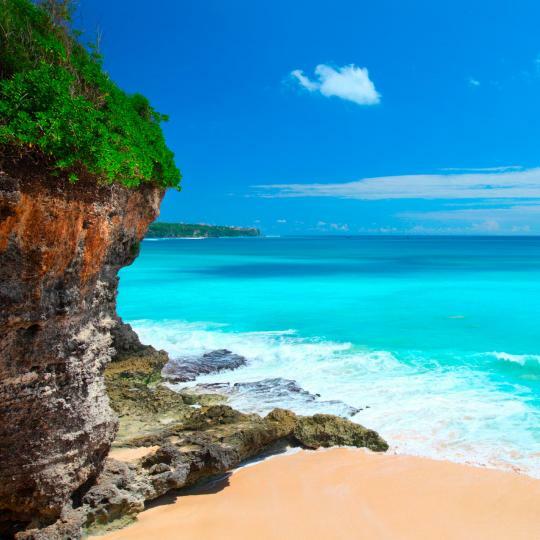 Hotel has superb location (close to shopping center Bali collection) with great own beach. Has good own security on the beach (very important point on the Bali). 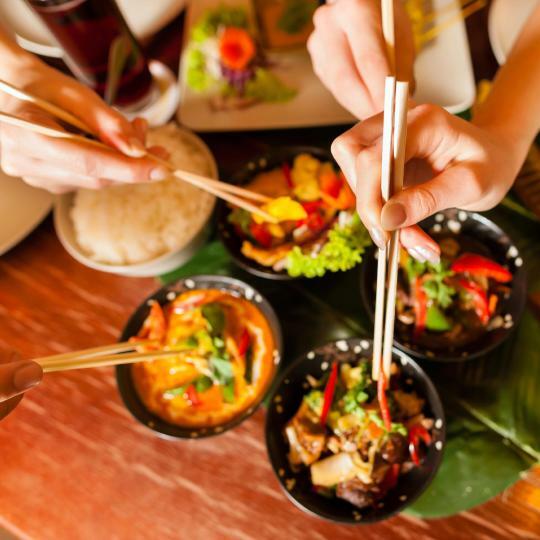 Delicious food in own restaurants. Excellent service, arranged for us early check-in and late check-out, despite very busy period. New Indonesian hotel (2018) with western facilities. Very basic Indonesian breakfast. Pool is public/hotel but very good. Good to see some local kids swimming. Wifi ok. Close to the beach (150m). Very nice restaurant straight across the road, all prices cheaper than elsewhere around Bali. Great location, close to everywhere in Singaraja. Great value. Large room with great view, located on top of the river cliff. The hotel has a nice pool and pleasant breeze in the restaurant area. The building and surrounding areas are beautiful. The breakfast is simply an amazing Balinese experience. Very friendly and extremely professional staff, impeccable attention to details. Comfortable old style hotel with good wifi and good breakfast. Like the fact that it is really Indonesian with domestic travellers not foreign tourists. Interesting to walk around the streets. 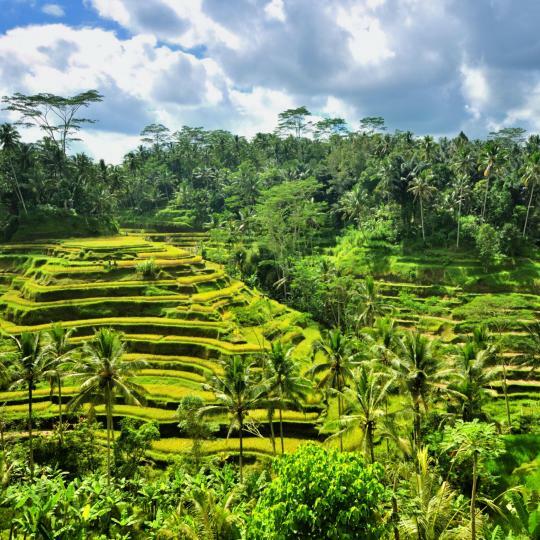 Beautiful rice field areas are sometimes described as 'the real Bali'. This is just as much the real Bali. This is an exceptional place to stay. 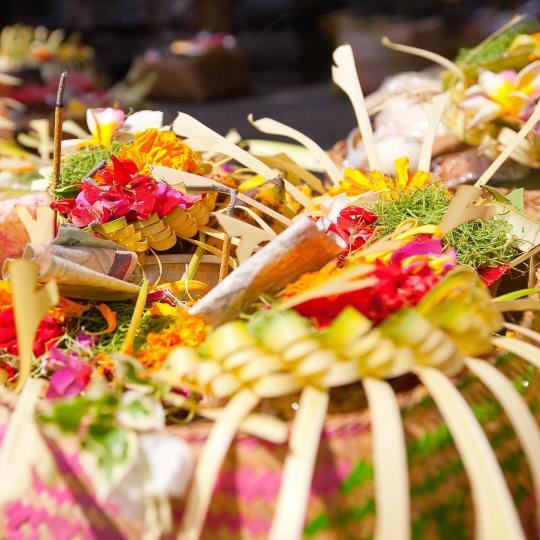 You get all the best of Bali and especially Ubud in one. We travel with to kids and the staff at the hotel was so friendly and nice. We felt that everything was possible you just have to ask. The breakfast was the best we ever had in Bali and this is our third visit. Our first stop in Bali and it was great choice and fantastic location in the middle of rice fields. All resort and staff absolutely perfect.Ive recommended this hotel many people I met in Bali and all my friends. Picture perfect location , could hike around the hotel . The service of the hotel was phenomenal .